In a previous post we outlined the impacts of sea level rise in the San Francisco Bay region as a consequence of climate change. As stated in the original post, the San Francisco Bay region comprises the largest estuary on the North American west coast. The bay feeds into the Sacramento-San Joaquin Delta, a vital waterway for the entire state’s agriculture and water supply, as well as habitat for many species. Rising sea levels will lead to salt water intrusion into these vital wetlands and waterways, as well as coastal erosion, flooding and increased storm surges. These impacts risk serious damage to habitats, both marine and on land, as well as property damage and threats to major infrastructure in the region, including roads, bridges and two international airports. The Golden Gate tidal gauge has recorded an 8 inch (20.3 cm) rise in sea level in San Francisco Bay over the past one hundred years. Projections indicate a possible 11 to 19 inch rise over 2000 levels by mid-century and as much as 30 to 55 inches by 2100. Even in the best of circumstances, if aggressive action to mitigate climate change begins immediately, significant levels of sea level rise is assured all along the California coast and San Francisco Bay in the coming decades. Clearly adaptive measure must be taken to avoid the worst consequences to the region and the state from the coming rise in sea and bay levels. 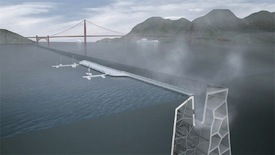 Building barriers or tidal barrages to manage tidal flow in and out of the bay at the Golden Gate and other smaller, strategic points along San Francisco bay. Tam suggests that effective adaptation requires strategic planning utilizing a mix of these strategies. 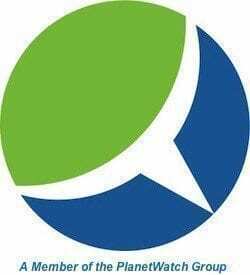 Managing the impacts of climate change in the San Francisco Bay Region (indeed, in any regional municipality) requires input and policy decisions from a variety of public entities, from water and transportation districts to airports, seaports, and urban development agencies. 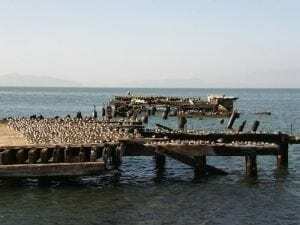 For the San Francisco Bay, two agencies oversee the ocean and bay that surround residents in the region: the San Francisco Conservation and Development Commission (BCDC) and California Coastal Commission (CCC). Tam warns that neither one of these agencies has sufficient authority to implement effective strategies to deal with rising seas. Tam explains that the while BCDC has permitting authority for development projects along the Bay, its salt ponds, wetlands, and shoreline, that authority only extents 100 feet upland from the bay, well short of the area that will be flooded by projected sea level rise this century. As for the CCC, Tam explains that its shared authority with 60 cities and 15 counties over development and land use is based on local coastal plans (LCPs) developed in the 1980’s, before the threat of sea level rise sea level rise was well understood. There is no legal mandate to update these LCPs. Local Bay Area governments are largely responsible for planning and permitting in areas most at risk from sea level rise but are only now beginning to consider how to plan for it and in most cases do not have the funds and resources to make and execute effective strategies to deal with rising seas. Tam thus considers changes in how the bay and coastal shorelines are governed in the region as key to developing an effective and comprehensive plan for adaptation to sea level rise. Building a static seawall at the Golden Gate is likely untenable for environmental, social, and aesthetic reasons. As an example of the kind of innovation that can potentially offer at least a partial solution to sea level rise in the bay is a project called Folding Water, a design proposal by Kuth/Ranieri, a San Francisco-based architectural firm headed by Byron Kuth and Elizabeth Ranieri. Winner of the 2008 International Rising Tides competition sponsored by the BCDC, Folding Water is a self-sustaining “ventilated levee” that protects and regulates both inflow and outflow of tides, thus protecting from sea level rise while preserving circulation of bay and delta waters. The “dynamic” system is designed to protect waterfront development and estuarine ecology through the active exchange of water through a perforated pump wall powered by the tidal turbines embedded in the system. Folding Water is designed to have minimal visual impact on the bay. Innovative designs like Folding Water offer promise for effective and acceptable barrier solutions, but issues of cost and permitting put realization of such projects years into the future, while sea level rise does not wait. As Laura Tam points out, one key strategy for adaptation to sea level rise is the restoration of wetlands along the bay. Last April, the Bay Institute released a report entitled The Horizontal Levee, Nature’s Low-Cost Defense Against Sea Level Rise that underscores the value of San Francisco Bay’s tidal marshes for protecting against flooding and sea level rise. Since the time of the California Gold Rush in the 19th century, much of the bay’s wetlands and tidal marshes have succumbed to destruction and development. The report coincides with the launch of the largest coastal wetlands restoration project in the United States, with a goal of restoring 100,000 acres of wetlands over the next twenty years. The economic and societal value of ecosystems has too often been lost in the equation of human development over the past century, but such shoreline restoration projects demonstrate that some of the best, least expensive and most effective strategies to adapt to rising seas is simply returning land back to its natural state. Surely, dealing with sea level rise in the San Francisco Bay, and across the globe, will entail a mix of innovative technology like Folding Waters and ecosystem restoration. In some areas we can armor against the rising tide, in others, a managed retreat could prove the best option. What is clear is the need for comprehensive governance, public engagement and private sector innovation. For San Francisco and coastal communities worldwide, waiting is not a viable option, we can not wish the issue away. The sea is coming.